With technology evolving at such a rapid pace, it’s little wonder that it’s shaping the modern workplace. Whether you’re a freelancer or working as part of a larger team, it’s important that you’re using technology in the most effective way possible; those deadlines aren’t going to meet themselves, right? What’s becoming clear, is that the businesses using new technologies to their advantage are those enjoying the greatest success – and this is only going to continue as we move into the future. Here are just some of the ways that technology can make your working life a little easier. With the widespread use of technology, companies of all sizes are increasingly comfortable with the idea of their employees working remotely. Whether making use of the free Wi-Fi at your favourite café or settling down with your laptop in the living room, flexible working is now more popular than ever. Of course, it’s been around for a while, but thanks to advances in modern technology, you can get as much work done away from the office as you would were you sat at your desk. Where once companies were concerned about potential pitfalls and costs to business, they’re now seeing new opportunities and innovative solutions for streamlining processes to save time. Just think about how long it takes for an employee to get to the office when transport lets them down. Working remotely means they can simply head back home, fire up their machine and get cracking without having to find an alternative route in. And there’s the bonus of them being less stressed, which leads to improved workplace morale and a corresponding increase in productivity. If you want to see greater efficiency and reduced stress levels in your employees, anywhere working is something you should consider. As long as your systems are running smoothly, your staff can be as productive as always in a location that’s more convenient to them. Cloud computing gives employees access to their company’s resources from anywhere and any device – and it’s easier and more affordable than ever. Cloud technology is a key element in any digital workplace success. Removing data from devices for safe storage on a remote platform frees up space on your computer as well as in your head, which makes for a more organised approach to the working day (it’s also a great way to declutter your workspace). In the future, cloud computing is likely to make even more significant gains, so it’s important for your business to stay ahead of the curve. There was a time when customers were mainly locals, with a few out-of-towners dropping in to see what all the fuss was about. Now though, technology has advanced to the point where entirely new markets have opened to a seemingly infinite number of people and businesses. This is great, but it’s important that your company stands out from the pack and makes its uniqueness abundantly clear. Much like the marketplaces of old, the traders who made the most money were those who sold the most intriguing items and – more often than not – shouted the loudest. If you want to attract more customers, you’ll find personalized experiences very helpful. From wish-lists to wedding registries; books to groceries, there are plenty of ways and products through which to make each of your customers feel like number one. The digital age has opened up plenty of opportunities in this way; technology has made outreach efforts more effective. 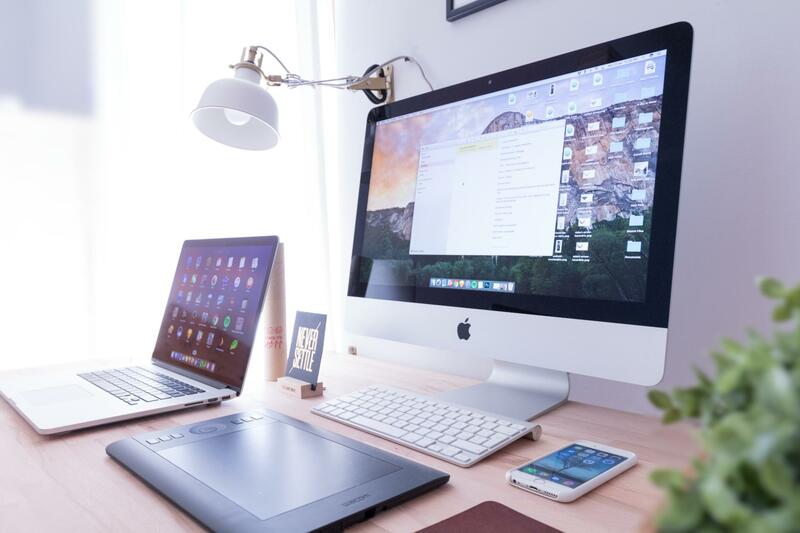 As more and more businesses make the decision to go digital, and diversify their staff in the process, technology in the workplace definitely needs to allow employees to work collaboratively in a more efficient and cohesive way. Whether you work in real-time or not, there’re so many options for collaborative working in today’s technological landscape that you no longer have to worry about the progress of group-related tasks. Non-real-time recordings are ideal for large corporations with employees spread across the country – or even the world – especially for training or catch-up materials. On the other hand, you can benefit from real-time interactions if you work in a client-facing role, like sales. Consider optimising your technology for collaborative working; the smooth running of operations will speak for itself! Training is an important aspect of capacity building in any organisation, and technology offers a solution to streamlining this complex process and easing any administrative burdens imposed. Now workers can become more competent and skilled without the need for costly away days or unfamiliar in-house exercises. Thanks to the digital revolution, there’re plenty of new and interesting ways to access training resources, most of which are reasonably priced. And that’s not all. Because of the accessibility of these platforms, workers are able to take more personal responsibility for their own development, which relieves pressure on already swamped administrators. From videos and quizzes to text messages and games, employees can choose how they’d like to train based on their own personal goals and learning styles. If that’s not progress, we don’t know what is. You’d be surprised just how much businesses can – and already do – benefit from voice technology. The ability to give commands, look up information and dictate notes using just your voice and a smart device is one of the biggest technological advances of the early 21st century. Siri, Cortana and Alexa are perfect examples of digital voice control, and they’re all readily available. And with demand for voice recognition software on the rise, this type of technology will soon be part and parcel of the working day. Technology is undoubtedly making things more efficient and convenient in the workplace. And realistically, the potential for growth is huge; there’s no guessing what’s to come in the future. One thing that is certain, is that businesses big and small should be utilising new technologies – and we’re not just talking about email.